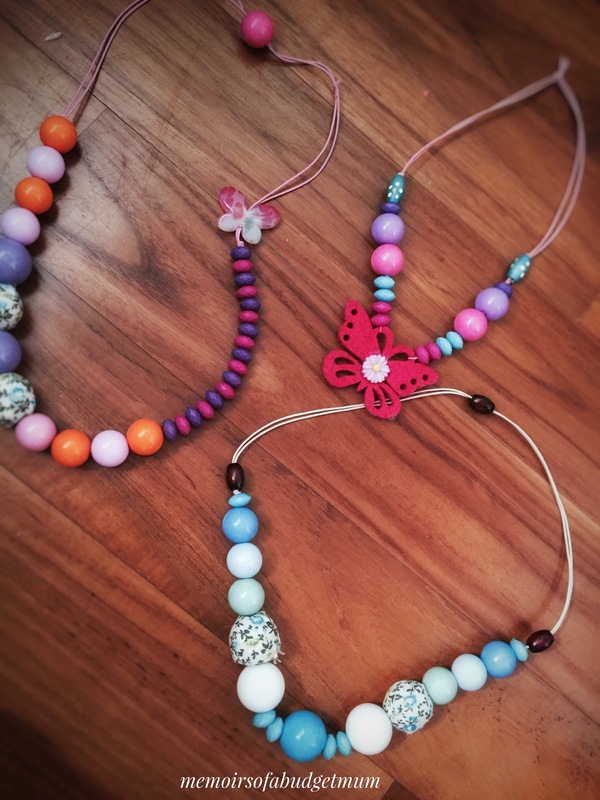 The holidays are a week away and already, the girls are gearing up towards their “Beads Fest” which comprises a good few hours each day, of squeezing strings into little holes and making patterns with brightly coloured and finely detailed accessories. We had rearranged our bead collection recently using recycled mooncake box skins that came in really handy to create tiers for classification and organization. That revived some interest and the girls were happy to play with their really “neat” beads. Also, when you’re the mother of girls, you might have a happy problem: you’ll understand what it means to have girls who possess a whole collection of every possible kind of bead and still never feel like they have enough! 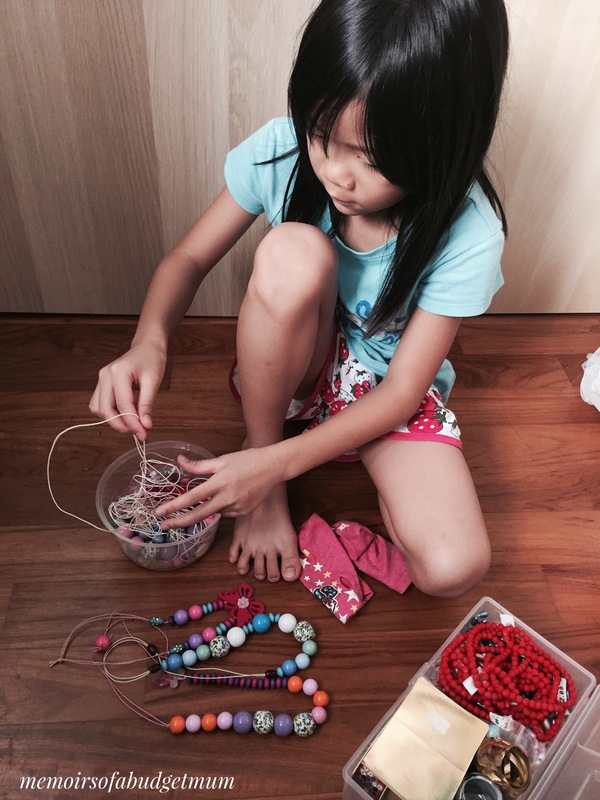 My girls are avid collectors of all wierd things and beads are one of their favourites. Beads, to me, are in the same category as Lego; they could drive you insane if they spew over the floor – the only redeeming thing about that? They are slightly prettier and more charming. 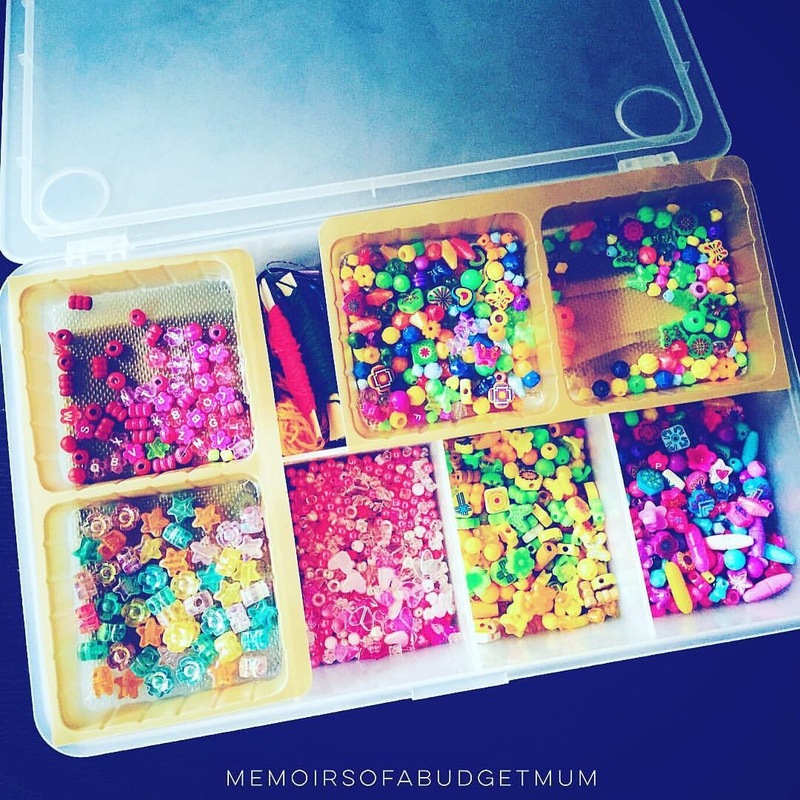 Nevertheless, most of the beading collection is kept well-hidden from sight most days, and then magically taken out when the days are longer and more free, for a fun afternoon of busy hands, pretty colours and girly imaginations. The girls interest in beading went up a few notches recently when a dear friend of mine, popped over recently for afternoon tea. 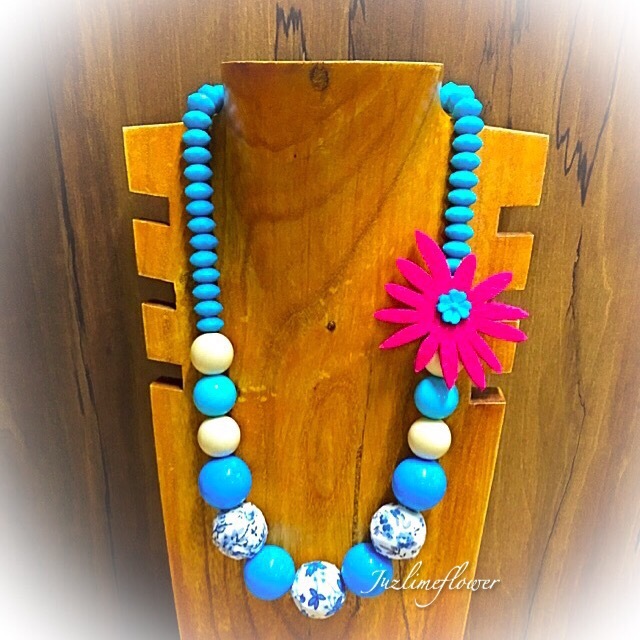 She brought along her whole collection of big beads, small beads, fat beads, patterned beads, cloth beads–you get the picture–it was beads galore and the girls were fascinated. Ingrid is a crafty mom. And crafty moms are one of my favourite kind of moms :). She’s has magical fingers that weave, a keen eye for design & a predisposition to create — juxtaposing simple elements together into a unique and interesting pieces. She taught the girls how to thread and how to arrange the pieces in an interesting manner. The girls had a free hand in picking their choice of colours too and were twiddling their fingers at the sheer choice of possibilities. To top it off, Ingrid’s bead collection is amazing: so much variety to choose from that the girls couldn’t complain. 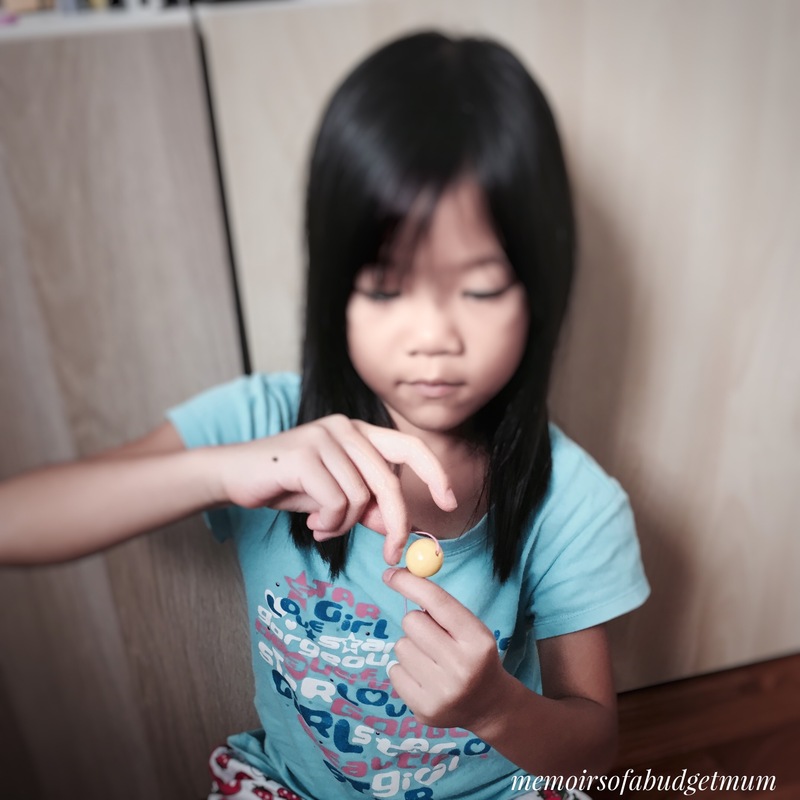 Also, the beads are of the right size for small fingers: unlike the commercial beads, these are big enough for small fingers to manage with holes that are easy to thread. Together with Ingrid’s help, this was the work of their fertile imaginations that afternoon. My favourite has to be the blue one…as it looks like something I could wear too-gasp! 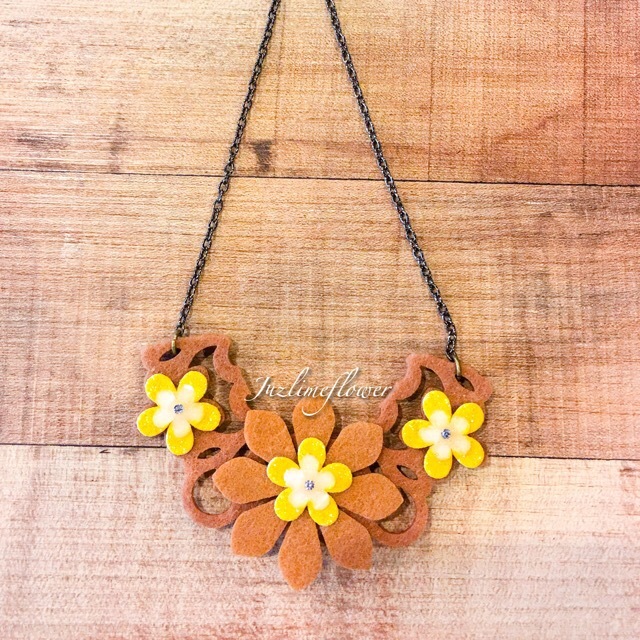 The good news is…Ingrid is one of the instructors for the “DIY Pretty Accessories” Workshop happening next weekend. 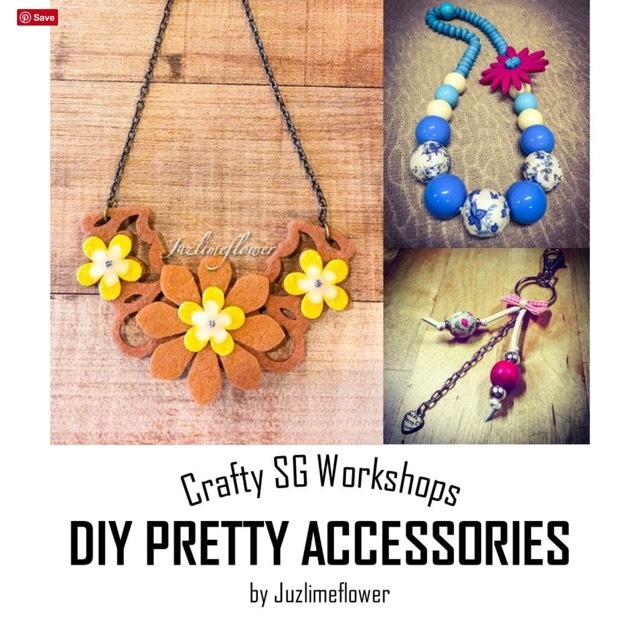 This is one of the series of workshops organised by CraftySG, a community of crafters in Singapore, which has been tailored to accommodate both newbies (children 10 years and above) and hobbyists to work on independently in an afternoon of crafting fun. 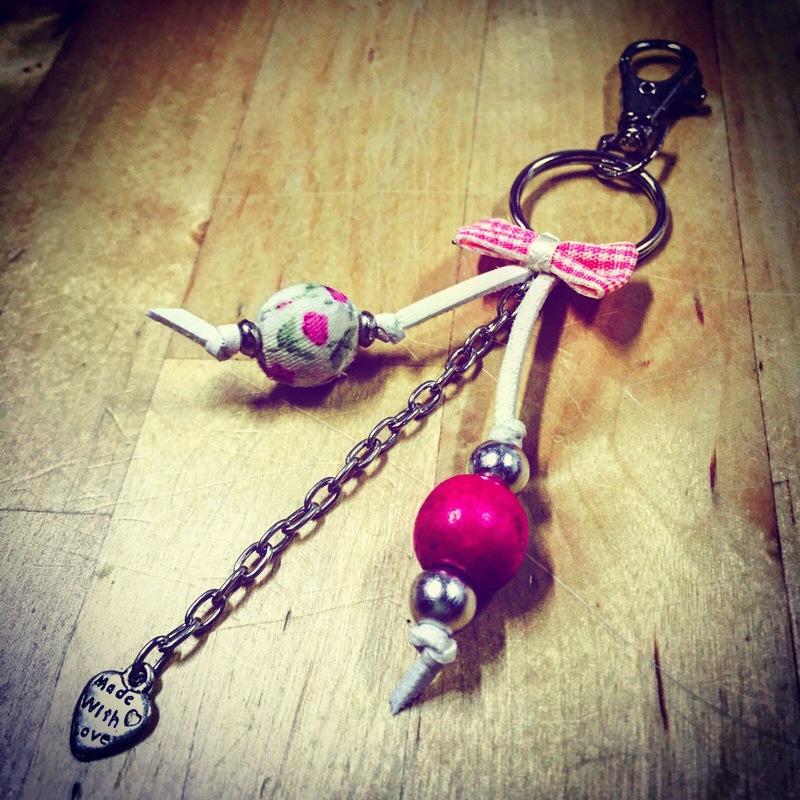 In this workshop, the participants will learn to make 3 different bespoke accessories out of a variety of craft supplies. Participants will get to choose from a variety of materials to create their own bespoke accessories, so that no one piece is alike. **Promotion: Sign up with 1 friend to enjoy a 5% discount. Sign up with 2 friends or more to enjoy a 10% discount. Follow Ingrid on Instagram or contact limeflower@me.com for enquiries on customized craft workshops for birthday parties, private or community events. *Each participant will be given a set of materials, which they will get to take home. *Leftover supplies can be taken over after the session. No tools are required for all 3 projects. *Some material used may differ slightly from pictures on the day of workshop. *This workshop is recommended for ages 10 and above.